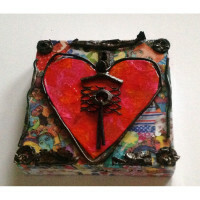 As a self-taught artist, my creative process is guided by two principles. 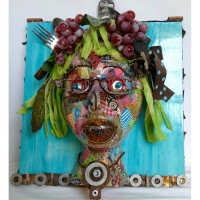 First and most importantly, produce art that makes people happy. 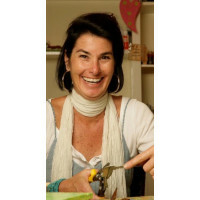 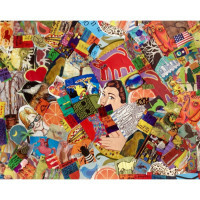 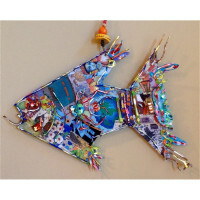 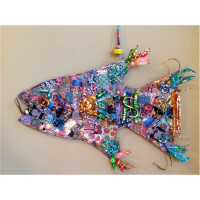 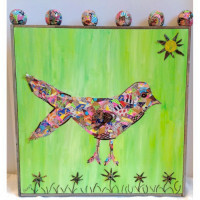 Second, strive to be an environmentally conscientious artist whose work has a positive impact on the environment and celebrates recycling as an art form. 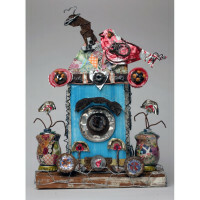 While my eclectic collection includes pieces in mixed media collage, clay and paint, it is my work in found object sculpture that brings me the greatest joy. 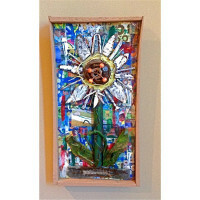 I have sold, displayed and donated selected pieces in various retail and gallery locations as well as hospitals and non-profit organizations throughout the South over the past 20 years. 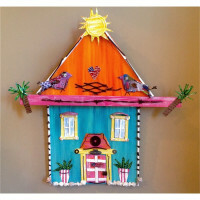 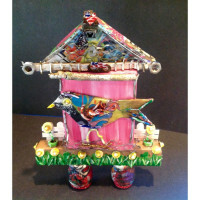 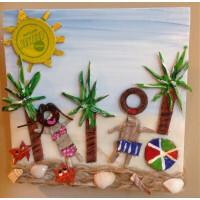 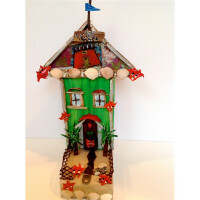 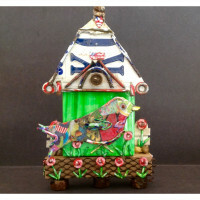 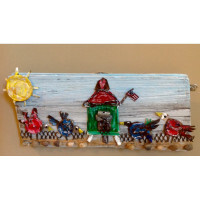 This bird shack is crafted from beach collected wood and highlighted by the sassy bird and the sw.. 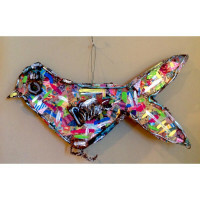 Broken metal and various other found objects reflect the broken spirit one feels when experiencin.. 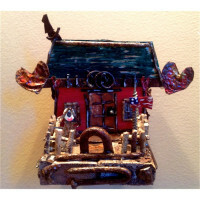 This piece is a member of my popular Bird Shack series. 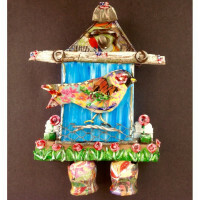 Crafted from wood collected from the beac..
One of the most popular works are my bird shack pieces. 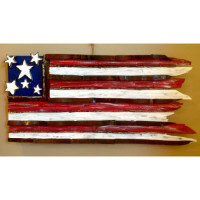 This is crafted from collected beach wood..